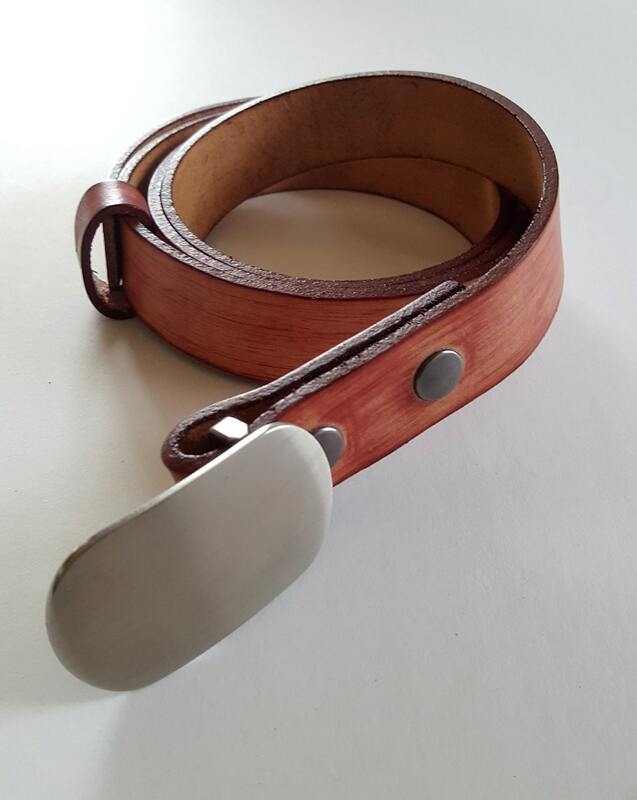 Brushed stainless belt buckle & hand dyed leather belt with keeper. 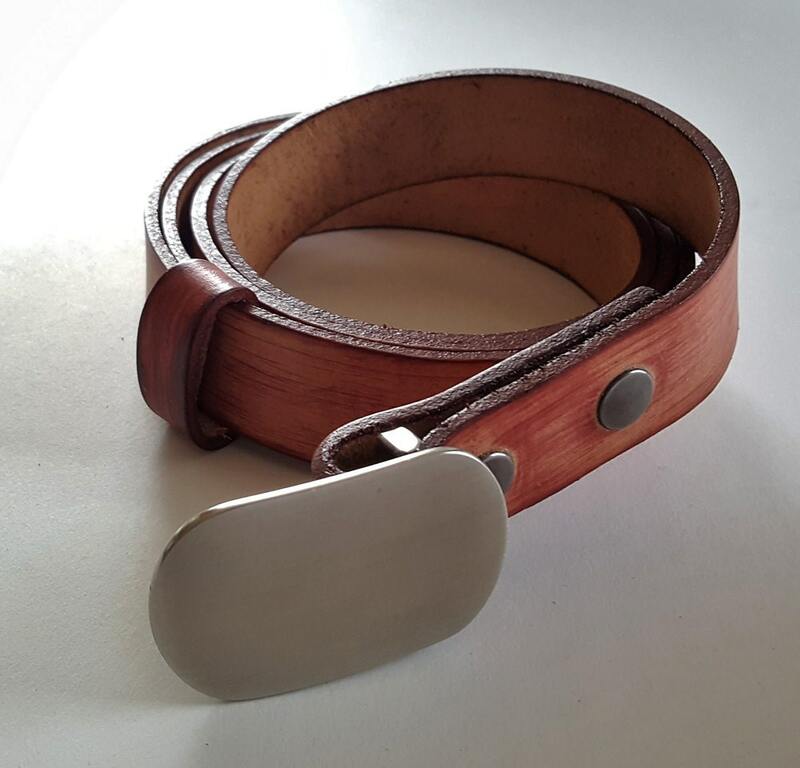 Belt leans towards redish/salmon/flesh colours. Will custom cut to your waist size. All we need is your waist size. 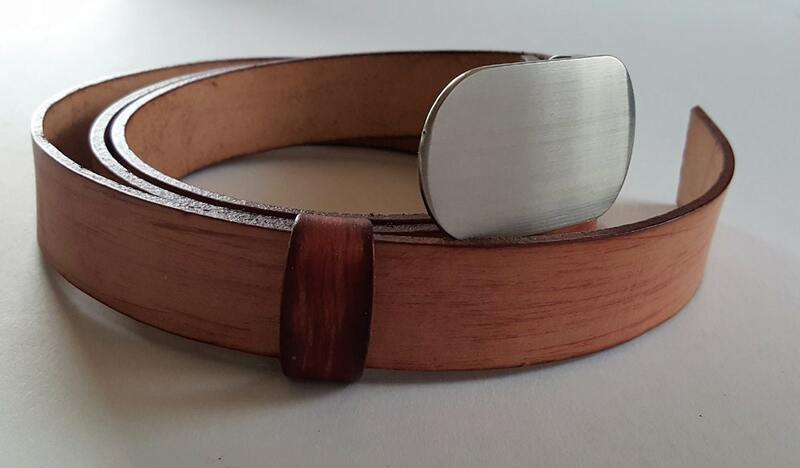 Each of our belts are custom cut.